Andis are an absolute giant when it comes to hair clipper brands. Famous for their high-end barber hair cutters, they have chosen the Andis Master clipper as a poster boy for the company. Zero surprise here. There’s a reason it’s our best pick for fading clippers and a part of our list with the best hair clippers for men. This model’s design and powerful operation helped it earn its reputation among barbers and casual users alike. Read on for all the details in this Andis Master review! 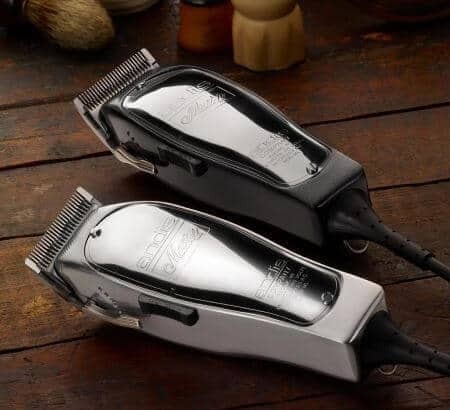 If you want to compare the Master to other models of Andis clippers, then check out this article that highlights the whole line up of Andis models. Ready for my Andis Master review? I doubt another professional clipper has such a distinctively designed body. The Master clipper features a stylish, elegant and 6″ long body made of aluminum. It’s not only gorgeous with its exquisite chrome-colored looks. The Master’s body is also extremely durable, owing its toughness to the extra strong metal housing. Many people fret over dropping their clippers and damaging them irreversibly. No such danger with this Andis barber clipper. It’s absolutely fall-resistant – but that doesn’t mean you should drop your tools anyway! Undoubtedly, Andis Master is a heavy electric clipper. It’s no small baby with its weight of 1.25 lbs. However, you can’t expect such a heavy-duty clipper to be lightweight anyway. What ultimately matters with professional tools are ergonomics. And despite it’s heaviness, there’s no denying the Master clipper is a good fit for any hand. This hair cutting machine features Andis highest line of oscillating electromagnetic motors. Once you plug it in (120V/60Hz), the Master’s motor runs on 14,000 cutting strokes per minute. To add some substance to this simple number: consider your haircuts done twice faster, or even more. The cutter will go through any hair powered by its roaring electromagnetic engine, and it will do so lightning fast. 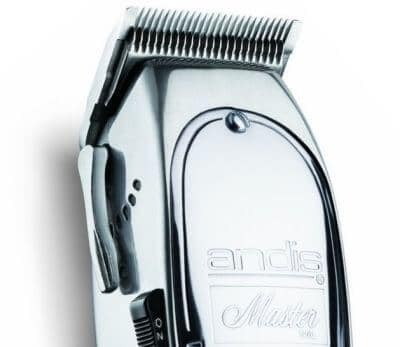 If you’re thinking about mainly doing fades then check out our review of the Andis Fade Master. 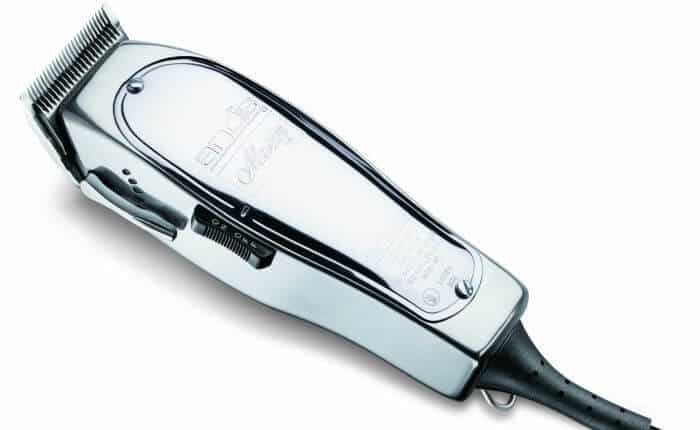 Usual adjustable clippers can move only from position A to position B with their levers (Wahl hair clippers, for example.) If you take a closer look at the Andis Master adjustable lever, you’ll see gradual positions, allowing for more precise blade adjusting. That’s the exact reason why this Andis model is a top clipper for fades. The blades’ sharpness guarantees precise cuts and tapering, regardless of hair type and density. Remember to oil the Master clipper blades to ensure they run smoothly and they will serve you for a long, long time. I’m writing this review with all honesty so I won’t lie to you: if you expect a humming hair cutter, look elsewhere. Andis Master will be slightly noisy and there’s little you can do about that. However, compared with other professional clippers like the Oster 76, it will run relatively quiet. To add to this, the noise you’ll hear from a Master clipper is somewhat of a pride to many barbers. The sound of this model is so specific that it’s, paradoxically, turned into an unspoken benefit for professionals. Like any clipper, the Master also suffers from a few shortcomings. The biggest issue you’ll have will be with the Master clippers heating up. It’s something that any barber clipper will suffer from, but it can still be uncomfortable. Two reasons for this. First, you have the extremely powerful electromagnetic motor. With its 14,000 strokes per minute it accumulates just enough energy to heat up. 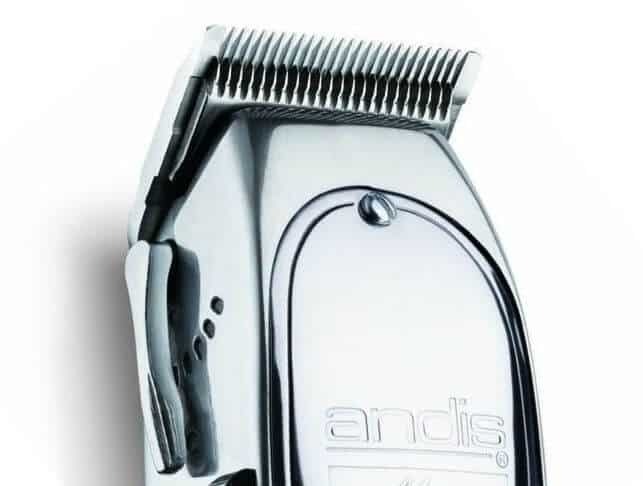 When you throw in the all-metal housing of the Andis barber clipper, no wonder it’ll get hot to the touch. If you want something that stays cooler, Andis’ newest barber clipper – the Pro Alloy XTR might suit your taste. The Master won’t overheat after a quick 5 minute usage, but you will feel the heat at around the 15 minute mark for sure. You can either rest a bit, or simply resort to using the lucratively priced Andis cooling sprays. So and so you should clean and disinfect your hair cutting machine. Another thing you want to keep in mind is the fact that this is a professional Andis hair clipper. There’s a bit of a learning curve here. If you’re a total beginner, you might feel overwhelmed and you might prefer easier options like the Remington HC4250. Unfortunately, you won’t receive any Andis guards with the Master. You have to purchase these separately if you want more freedom in terms of hair cutting lengths. If you need Andis Master combs, I can’t recommend the Andis Magnetic guards enough! They are long-lasting, will attach themselves to the clipper blade more securely and tightly, and are essentially the best guards on the market. There’s a reason why users of other clipper brands like Oster’s Fast Feed purchase these. The 5 set of purple magnetic guards on Amazon.com includes sizes 1/16″, 1/8″, 1/4″, 3/8″ and 1/2″ (or 0, 1, 2, 3 and 4 in Andis sizes.) They will make your Master experience even better. The final thing we can say about this Andis Master review, it is an absolute classic in the niche of professional hair clippers. Few other models can take pride in being such a great hair clipper for fades. No other cutter sports such an elegant, aluminum body and clean design. The Master’s sheer power and flexibility make up for its heavyweight body and heating problems. If you want something powerful, sturdy and a clipper that will last you for a long, long time…this should be your pick. You can go over this Andis Master review or ask your local barber about it. They know what’s up with this model and the classy haircuts it’s capable of performing. This site has the most accurate reviews of hair clippers. I stumbled on this site by chance and I am glad I did. Good work. Honest and professional reviews are appreciated. Doug, you have no idea what a smile brought to my face. I’m sure when Ryan comes back from his short holiday he’ll have the same reaction. Thank you so, so much! Quite a few other sites out there, but the insight is lacking in my opinion too. To be honest, I’m not fully satisfied with some of our content either, always striving to make it even better. All in due time! Thank you very much for the kind words, helping people make an informed choice is very important to us. You have quite the line up there! I haven’t seen the 111 in a while, now you made me feel a little nostalgic. Cheers and once again thanks for the warm words. Do you know what the difference is between the Andis master 01556 and andis improved master 01557? Thanks!